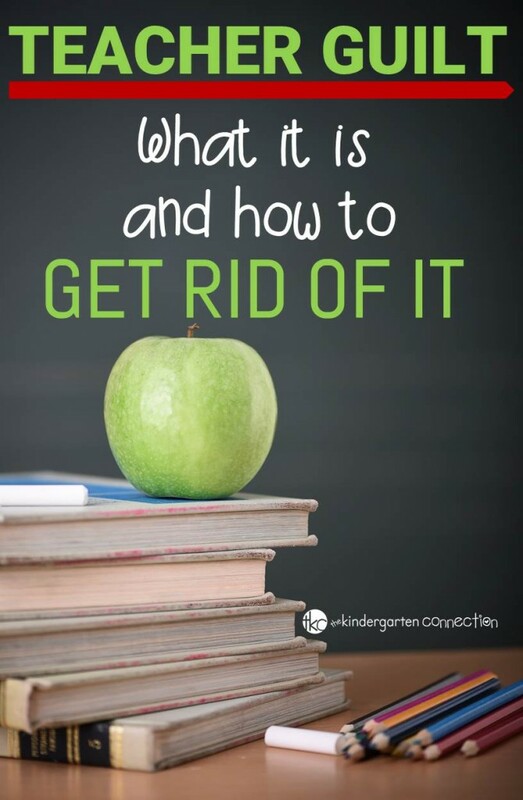 We have probably all heard the term “mom guilt.” Have you heard the term “teacher guilt?” I believe teacher guilt is a real thing, and something I have had to address hard with myself in the past year or so in order to attempt to live a more balanced life. Teacher guilt happens when you feel like there is always more you want to do for your students, but yet there just simply isn’t enough time (this happens for nearly all teachers, trust me!) 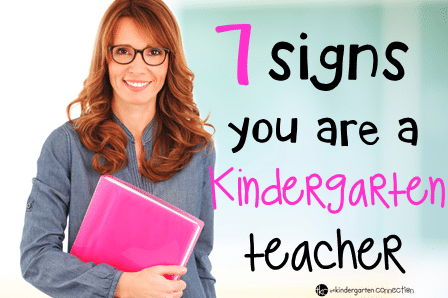 to get it done, and you feel guilty because “if only I could be like that one super teacher I know….” and “maybe I should be bringing more home or staying longer… as well as, “does this make me a bad teacher if I don’t?”… and so on. Feeling guilty about trying to go home before 5 pm (even though that is still past “teacher time” – does that phrase make anyone else laugh?) I knew I could stay probably literally forever and keep making things even better for my students, but was it at the expense of other areas in my life? Hearing from teacher friends and seeing on social media how many teachers spend their weekends in school, and feeling guilty that I stopped doing that a year ago (I used to be an every weekend teacher!) in order to bring some balance to my life. Remembering the days when I packed home enough stuff for five classrooms to work on, then feeling like something is wrong with me because I don’t do that anymore (or I try not to anyway!) – does that mean I am not caring enough? Seeing social media posts that are definitely inspiring and amazing, but then realizing maybe I don’t do all of those things, and wondering if what I am doing is enough – is it? All these thoughts were swimming in my head, causing me to feel guilty in some ways, like I wasn’t doing enough, even though I feel as though my life is already wrapped around teaching so much. If I am tired and burnt out as a result of trying to be super teacher, then who is that helping? no one. I remind myself of this when I feel like I should be coming home like a pack mule for the evening with school stuff. Your passion for teaching is not conveyed solely through hours logged in your classroom. Repeat that. Repeat it again. While there is always more to do, my family has to come first. When I lived at school on the weekends, I was missing out on important family time. Now, I am making my family a priority, and it is really making me feel better all around. I love teaching, and that right there is something to be said. I care deeply about my students. I care enough about my students to also take care of myself, so that I can give them my best every day. Take care of yourself. Repeat that. Repeat it again. I compare myself only to myself (or I am trying to). I love to learn and I strive to always grow as a teacher, but comparing myself to others only makes me stressed out. No two teachers are the same, and no one is perfect. We all bring unique strengths to our classrooms. Do not compare yourself to other teachers. You are enough. Start with you, and grow from there. Have you ever felt a form of teacher guilt? How did you deal with it? I am happy that this year I am trying to learn and grow, while still getting some balance. So, friends, teach on, and remember – you are making a difference! ***It is an honor to have this post featured on the Teachers pay Teachers blog! You may also want to read…. This is a great post! Teaching is such a demanding profession. It is never done – never! There is shears something else to work on – always! But, we have to learn (me included) that it is OK to take time for yourself and your family. Thanks so much Suzanne! It is definitely hard to learn that it is ok to take time for ourselves and family – but it is so necessary! Sorry about the typo above. It should say “There is always something else to work on.” I am on my phone and I think it autocorrected and I missed it. I can’t figure out how to delete it and repost on my phone. Ooops! Thank you so much for writing this post! Teacher guilt is a very real problem. I love looking for ideas on blogs, TPT, and other sites but always feel like the worst teacher when I’m finished. I wonder how on earth they manage to do everything that they do with all the themes, crafts, and games changing constantly! If I can squeeze in a craft every week or two I feel like I’m in in good shape. I have always been a progressive teacher pushing students to what they are ready for and can achieve, but lately I find that we are being told to shove concepts and skills down 5-year-old throats that aren’t developmentally appropriate. They are sucking the fun out of kindergarten and I have found myself working doubletime to not let that happen. There is so much work to be done after hours that I find myself envious of my husband and everyone I know whose job ends when they walk through their front door at night. I feel like there is always SOMETHING I should be doing for school, for this low child, etc. When I do things for me, I feel like a bad teacher. It needs to stop. When is it good enough? My students are learning, they are having fun, and yet I still feel like it’s never enough. It seems like it’ll never be enough. I have been striving to find more of a balance in my life but I am having such a hard time letting go of the teacher guilt.